90’s one hit wonder act Deep Blue Something have decided to re-release a new version of their 1995 song ‘Breakfast At Tiffany’s’ as ‘Cannibal Holocaust’. The decision came when the singer admitted that he and his then girlfriend had reportedly not “both kinda liked” ‘Breakfast At Tiffany’s’ but had in fact “both kinda liked” the more bloody 1980s gore festival ‘Cannibal Holocaust’, the discovery of which saved their relationship. “Yeah we both kinda liked it.” confessed the singer. The band penned ‘Cannibal Holocaust’ in 1992. The band then converted from their ground breaking new sound ‘mulchcore’ to a new sound more suited to driving to Safeway to. 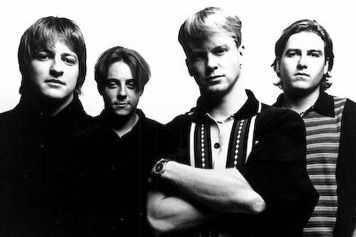 They began to wear denim on denim and cut their hair, spending much of their career playing their music on stools, despite the fact they were young men. However, the band say they are back with a vengeance. The President of the United States of America is sitting at his desk, flicking through a newspaper alone in the Oval Office. He stops at a page, pulls the page closer to his face, then puts the paper down on the desk. He presses a button on his intercom. PRESIDENT: Mary. Could you send in the vice president please? MARY: (through intercom) Certainly Mr President. The President picks up the paper again and stares in awe at the page for a while. The vice president comes in. VP: You asked for me Mr President? PRESIDENT: Indeed I did. I just noticed here in this paper that there is a place called Titan. Now I ask you Mr Vice president, and I do ask you sincerely; have you heard of this place they call Titan? PRESIDENT: And did you know that vast swathes of oil have been discovered there? VP: Forgive me Mr President but, we’d have to lift it pretty high. You see…. PRESIDENT: Well we’ll just Goddamn well have to. The price of freedom cannot be….bargained with. Why I’ve never known such a lack of candour coming from yourself Mr Vice President. Where has you heart gone? Where is your fire for freedom? PRESIDENT: Yes! It’s the new triangle of evil. Iran. North Korea of course. (the President stands up.) Titan. PRESIDENT: They got terrorists in this Titan? PRESIDENT: Y’know. I’ve been getting’ tired of all this pollution., pollutin’ the good air of this great planet…seems to me something ought to be done. VP: That’s the thing Mr President. Titan is a planet Mr President. Well…the moon of a planet. Saturn to be precise. PRESIDENT: Well why didn’t you say so. The President presses the button on his intercom. Mary. Could you get me NASA on the phone? A dialing tone comes through the intercom. Charles Bolden, the head of Nasa’s voice comes through. CHARLES: Charles Bolden, NASA. How can I help you? PRESIDENT: Good day to you Charles. This is your president speaking. CHARLES: Why, good day to you Mr President. PRESIDENT: Yes indeed it is. I have one question for you. CHARLES: By all means fire away. PRESIDENT: Do we own Titan? CHARLES: Own? Uh…no Mr President. We don’t own any of the planets. CHARLES: Bolden sir. It’s Bolden. PRESIDENT: Well all due respect Mr Bolden but I do believe Titan is a moon and if I’m not mistaken we have claim to at least one moon. CHARLES: That’s not strictly true. The president looks at the vice president and makes a circle with his finger next to his temple. PRESIDENT: Yeah. Uh. Sure Bolden. Well…uh…thanks for the uh…advice. Speak soon. CHARLES: Nice talking to you Mr President. PRESIDENT: Right back at ya. The president hangs up on the intercom then presses the button to speak to Mary. He stands up and straightens his tie. Mary. Could you set up a press conference for 6 o’clock? I want to declare our ownership of Titan. Goddamn it. The first foot that’s going to set foot on that forsaken frontier will be a free foot. Mark my words. Freedom’s gonna lay claim atop Titans toosh before any terrorist can ever set toe there. Let the shuttles soar! PRESIDENT: Let the spacecraft soar! Let the first toe on Titan be an American toe! We’ll get those western values there if kills us! Well y’know….not us. Oh and Mary? PRESIDENT: Fire the head of NASA will you? He’s a few planets short of a system. A group of minor Scottish celebrities have come together to show their support for the ‘conscious uncoupling’ of Scotland from the rest of the UK. The announcement was made at a packed press conference in Bellshill, in which two former Big Brother contestants, Jim Delahunt, ‘Grado’ from Insane Fight Club and a random hippy appeared. 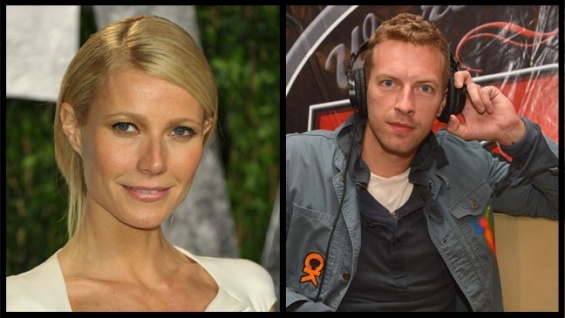 The former big brother contestant who’s name or face no one could quite remember explained that they had chosen the term ‘conscious uncoupling’ because Gwyneth Paltrow and Chris Martin had used it and so if they used it too, it meant that they were just as famous. While the Daily Mail reporter left, Jim Delahunt assured the conference that Paolo Nutini was on his way. By three o’clock, after the other big brother contestant had repeatedly mentioned his blog, (reportedly ghost-written by his own mother) and it was clear that Paolo Nutini was never at any point going to be coming, the press left. The Krankies were unavailable for comment. Chris Grayling has brought forward plans to ‘ban sounds which end up constituting functioning words’ from prisons across the UK. Implements that could be used to mark words down on a piece of paper, or perhaps a wall, will also be sidelined. Serving criminals who do not follow the rules, by communicating through language that is going on their heads “will be muzzled”, said the justice secretary, with his mouth. “People are fed up with prisoners living the easy life, with their Sky TV, playing their Playstations all day and their continuous sponging of the innate abilities of all humans developed over millions of years of evolution. Hardened criminals are more than capable of saying whatever it is they say by using a series of moans and grunts”, said the MP for Epsom and Ewell. Labour oppose the plans slightly. No prisoners were available for comment. The Daily Record has claimed that it will have removed all known diseases from the planet by the end of 2014. Doctors and medical scientists around the world have been told that they can stop their work now, unless they can beat the newspaper by ending all disease before Hogmany. Here it comes to save the DAAAAAAAAAAAAAAAAAAAAAAYYYYYYYYYYY!!!!!!! 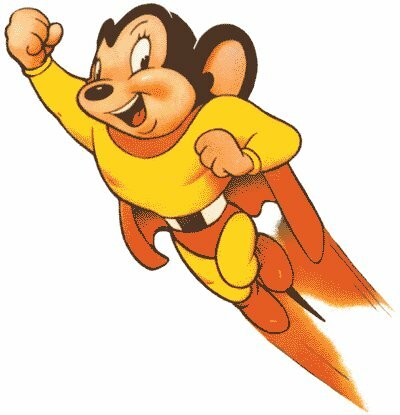 People who worked tirelessly to defeat the bedroom tax had merely been “wasting their own time”, according to Mr Mouse. After getting rid of all known diseases, The Daily Record will move onto unknown ones. “Then we’ll fix climate change on our tod.”, according to the anthropomorphic hero. Asked by a passer by how The Daily Record could not save Rangers or adequately live-stream a Scotland game online, Mighty Mouse placed his hands on the disbelievers head. “Go. You are healed.”, he said. Commentators have claimed that there is no longer any point in humankind doing anything any more, as The Daily Record has already done it, or is just about to. “See the pyramids? That was The Daily Record.” said one media expert. Scientists have recently discovered that the universe is actually an eleven dimensional hologram. People who pay £12.95 to see a 3D film will now be enraged that they are losing out on eight dimensions. Physicists at the University of Columbia made the discovery during the weekend. However, co-discoverer Gregory Zappa-Fufkin-Jones disagrees. “When ordinary lay type people ask me to explain it, I just say ‘Remember those popular framed eagle hologram pictures from the 80’s that were popular in suburban households? 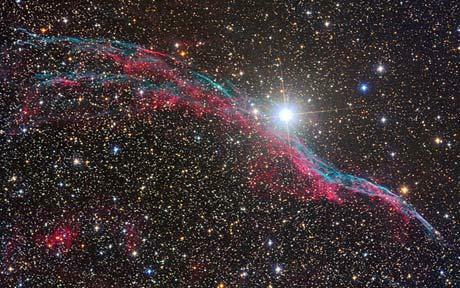 Well the universe is a bit like that, only less tacky.’”. Scientists will meet at a global summit on a Tuesday to discuss the ramifications. Many stores had to send back thousands of Nick Clegg dolls today after complaints by consumers that they were all bendy and unable to stand upright. The floppy figurines are made by ‘The Dolitics Co’ and had been selling well, especially to students who were using them as a form of ‘stress revenge’. It is reported to happen everytime the doll is plugged into the wall. The decision to recall the dolls was made when the machinery at the Dolitics factory was said to have been ‘continually and paradoxically faulty”. “We found this fault just in time, said the factory owner. The four Boris Johnson prototypes are now said to be in quarantine being guarded by Meg Tilly who is holding back an enrapt and hypnotised public. ‘The Dolitics Co’ are now close to closing down after a series of catastrophies. There was a furore over the infamous ‘face-hugger’ dolls of Queen Elizabeth II, the mispelt Jeremy Hunt packaging and the George Osborne figurines that would melt when placed in close proximity to an ordinary person. Nick Clegg was unavailable for comment.